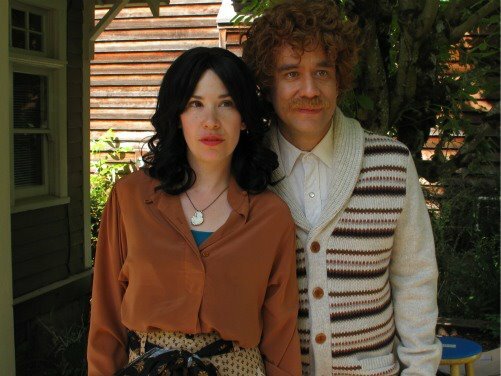 Tonight, Portlandia, one of my favorite new TV comedies, returns for a second season on IFC. The sketch comedy show features Fred Armisen and Carrie Brownstein paying homage to the quirky, crunchy city of Portland through an entire slate of hilarious characters. Last month, I posted a clip from Season 2 in which Fred and Carrie become addicted to Battlestar Galactica. The BSG episode won't air until next week, although you can watch it online via the show's Facebook page. I'd never seen an episode of the show before viewing that clip, but soon after I breezed through Season 1 on Netflix and I am now sufficiently obsessed with it. Portlandia Season 2 premieres tonight on IFC at 10/9c.